Have fun doing this for your little one. However, if your child is old enough to spell his/her name this would be a fun project to do with them. Creative bonding time! A neat and creative idea! This is a really cool idea. 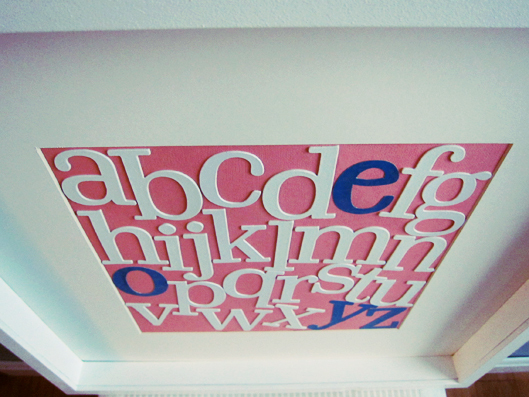 I’m thinking I could adapt it slightly to suit my toddlers room–maybe bigger letters or brighter colors. I think it’s a great, inexpensive design that would be perfect for the preschool set! Hi Thanks for your kind comments. Definitely, what a grand web log and instructive reviews, I without doubt will bookmark your website.Every one of the Best! Thanks for “liking” my pouf! I love all of your ideas, too! I’ll definitely try some of your things out! Awesome blog, the best blog I ever seen. I am much thankful to your lovely and teachful post, I like this style of writing, understandable by everyone. Good Job and will come back here soon for sure dude! Aw, this was a really nice post. In thought I wish to put in writing like this moreover – taking time and precise effort to make an excellent article… but what can I say… I procrastinate alot and on no account seem to get one thing done. So cute!! You’re so crafty! Thank you for liking my blog post at http://chasingyellowcabs.wordpress.com/, else I’d never have come across your blog! 😀 Your blog is really creative and clearly you are super talented 🙂 Keep it coming! I blog quite often and I seriously thank you for your content. This great article has really peaked my interest. I will bookmark your blog and keep checking for new information about once a week. I subscribed to your Feed as well. BinTHG Totally agree with you, about a week ago wrote about the same in my blog..! great idea! I will have to try this for my Zoe… thx! Even I (the DIY challenged) think I could do this and I’ve been wanting to add ABCs and numbers to our son’s room (now a toddler) so that we can use them for decoration and learning. Thanks for this! 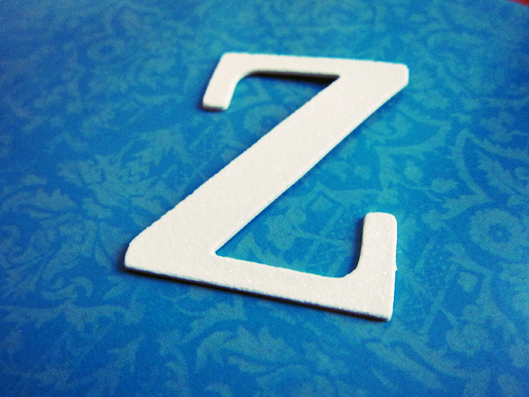 If you are thinking about creating your own ABC frame, heres a chance to be featured on my blog: https://lezoemusings.wordpress.com/2012/04/02/be-featured-on-le-zoe-musings/. Best, Kellie. Thanks! 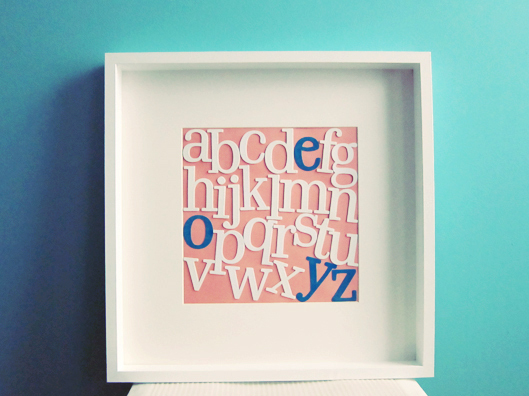 If you are thinking about creating your own ABC frame, heres a chance to be featured on my blog: https://lezoemusings.wordpress.com/2012/04/02/be-featured-on-le-zoe-musings/. Best, Kellie. I didn’t make an ABC frame. not sure where to put it! But I did get inspired by your fashion inspired boutique so tried that in my daughter Z’s nursery. If you would like to feature that, I would be honored! Super cute! 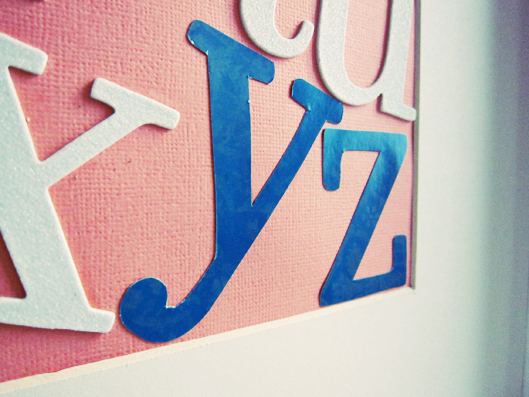 I am going to do this when my Zac gets old enough to start grasping letters! Thanks for the tip! It’s a great bonding thing to do w/ your little one! This is adorable! Just found out that my sister is pregnant – I will definitely keep this in mind for a gift. Thank you for sharing! Super cute idea! And I love how you not only made it DIY, but super, super affordable by using the cheap frame from Ikea and the Michael’s letters paired with their coupon. For the Mama readers… I love this idea! Thanks so much for the reblogged! Absolutely! Such a cute idea! Adorable idea! I pinned it. I love crafty ideas like this that are so simple to achieve. Thanks so much for the repinning! Lovely idea and beautifully executed, and I am sure it is something your daughter will treasure for years to come. Thank you and I sure hope she will too! Thanks for being the 100th comment and for the first ‘like’ ever! Thanks for stopping by! Your blog is actually nice..simple. I like to keep it simple. really cute and creative. My granddaughter’s name is Zoe, no “y”, but pronounced the same. I shop at Hobby Lobby, it’s like a Michaels, 40% off coupon, etc. I could buy every scrapbook paper in the place! I’m going to take a look around and see what other creative projects you’ve done. I also love hobby lobby, unfortunately I don’t live near one. Thanks for stopping by! I reposted this on agrandfamily. Love the idea. Thanks for sharing. Ha, this project is def. for anyone to do. Thanks for the reblogged! I’m totally going to make this for a baby shower gift/decor! Awesome project! Thanks. Cute and simple, nothing beats that! I think this is a great and affordable nursery DIY project – I will be sharing your site with my readers. Hi! Yep, plain old Elmers for the entire project. 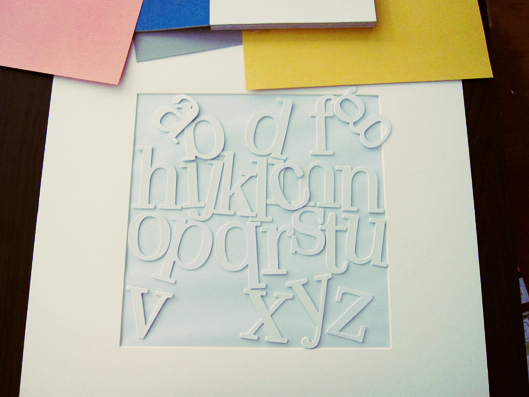 Don’t put as much on the colored letters since the stock paper is not as thick as the cardboard white letters. You don’t want the letters to wrinkle. I just used regular house wall interior paint w/ no sanding or priming. Thanks for stopping by! That is so cute and creative, thanks for sharing! No prob. Thanks for stopping by! Laura, thanks for the like and stopping by! Thanks! It’s super cute and simple, which is the best combo. The perfect gift from Grandma! Thanks for the idea! No prob. Have fun doing the project! Cute! I did something similar when I did my daughter’s nursery. It is fun, cute, and has your own touch, it doesn’t get better then that! Thanks for stopping by and the reblogged! Cool idea! I will definitely do this for my kids’ rooms. It’ll be a great addition to your kids’ rooms. Thanks for stopping by! You’re right! =D Thanks for the idea. Hi! thanks for the comment and for stopping by! Great DIY project. I love the as-is section of Ikea. Cheers! I LOVE as is section too! Most things are not damaged, just repackaged which is fine w/ me. Thanks for stopping by! I will continue to stop by your blog. Looks like you have some cool projects. This is a great way to personalize a child’s room at Grandma’s house! I like the idea of doing it together with an older child. Thanks for sharing this project. Cute project loved the colors. very cute, and I love the color combo. The letters really pop! I just discovered your blog via this posting and love the ABC project – this is one I may actually be able to manage even while living abroad! Also scoping out you inspirational workspace for my own tiny corner of our house… Thanks for sharing! Hello! we don’t have that much space either so a tiny workspace worked for us. Good luck w/ yours! That’s a great idea and the finished artwork is lovely! Fabulous idea and looks great. So creative. Thanks for posting. Really cute! Definitely going to try that for my god daughter’s birthday this year. Thank you! I think it’ll make a perfect gift. Thanks for stopping by! Now this us a clever triple shot of cool: not just teaching the alphabet and decorating a child’s room, but building a sense of context for how the child’s unique identity flows with the rest of the (alphabet) world. Nice, Kellie! Great idea for my granson’s 6mo birthday! Thank you. That’s so original and creative! Np prob. Thanks for stopping by! So pretty 🙂 Thanks for sharing. Beautiful post indeed! I love to teach and to learn as well. I’m always excited whenever I come across tools that can aid learning, especially for kids. My handwriting would probably have been better if I had the privilege of learning with this your personalized ABC’s Frame! Great post indeed! What a nice comment, thanks! Super cute!!! I’m going to give this DIY a try. Let me know how it goes. Thanks for stopping by! This is really a fantastic tutorial. I think the project would work in so many other places beyond the baby’s room. Thanks for the great ideas. I agree. Just takes some imagination. This is such a cute idea and it is different than the usual letter picture frame things. I like it a lot. Hi, just looked through your various categories and a few posts and just love your creativity and all you DIY ideas. Such a beautiful blog. Cuh-yoot! Did you mod podge the paper on to the letters or just use the cut-outs? I don’t have a nursery to do this in (and NEVAR will again!!! ), but I could totally do something similar..somewhere! Awesome! Following and looking forward to your other posts! Hi – I just traced the letters using the original white letters and use the cut out. Thanks for the follow! Very, very, cute! Love it! Great idea! I have two grandsons who are living with me (their parents are here too) they no private space but I think my oldest would love one of these (he is 3 1/2) and it might help him feel more like he has a “space that is his.” My daughter will love it too. 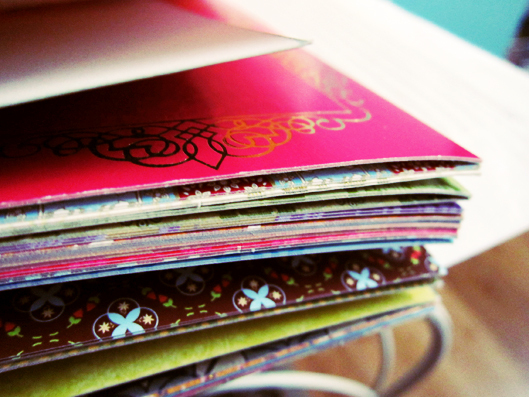 Thank you for sharing and congratulations on making Fressly Pressed! Thanks! I’m sure your grandson will appreciate this. Nice blog. You are one of the few people I’ve seen with the same theme that I have. Looks great. Cathy, thanks for the comment and for stopping by! Friends of ours had their first child today and heading to blog some thoughts about how public our lives have become due to social media, I saw this freshly pressed on WordPress and decided that I needed to make one of these for the new arrival. Cute, simple and one JoAnn’s coupon away for the letters! Thanks so much for the reblogged! I hope your readers enjoy it! What a cute idea! My baby is 5 months old, but we’re on our third and don’t have a nursery, per se. I just love nurseries, though, and it’s so cute. I do, however, want to create something for every child in their rooms and this idea might spark some ideas for me. Thanks for posting. Glad you can find some ideas from this post! Thanks for stopping by! You’re welcome. Hope to stop by more often if I can find a sliver in my time. Thank you for letting me know. I’m swamped right now, so if I were to make it I would be late in the game. Totally adore it, though. A very fantastic and attractive work. It seems that you are very creative. Nice blog. Thanks for the compliment and for stopping by my blog! Congratulations on being Freshly Pressed! Love your idea and think I’ll make one for my month old granddaughter. 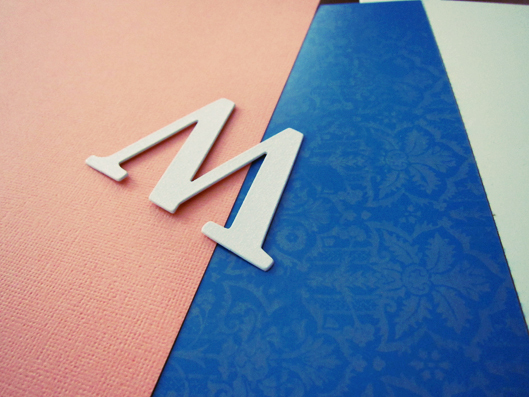 Instead of using blue paper for the letters for her name, I’ll cut them out of photographs of her. Thanks for the idea and all the best. That is such an awesome idea! Photographs will make it alot more special and I’m sure your granddaughter will greatly appreciate it! You’re right, it can be applied is so many ways. Thanks for stopping by! I love the photography as much as I love the idea! So cute. What a cute project! And simple enough that someone not-so-ambitious (like, ahem, ME) can do it! Thanks for sharing. Yep, super simple yet so personal and cute! Thanks for stopping by! This is very creative! Thank you sharing the directions! I just may make one with my two and a half year old granddaughter! I love your pictures too! Great job! My grandson’s names include: Jarrett, Kade and Kreed. How would I do this since they have duplicate letters in Jarrett and Kreed? Great idea and nice usage. That is really beautiful!! And it looks so elegant and simple. 🙂 I’m trying to have a baby now and this will definitely have to be an idea I keep in mind for the future nursery!! Thanks for sharing!! The minute I saw the frame on freshly pressed I knew you it was yours coz I saw this post a few days ago. Congratulations on being freshly pressed! Such a cute idea! And it really does look simple – just what I need! A little extra motivation to COMPLETE a project! LOL… Thanks for the opportunity, I’ll be eager to see the finished products even if mine is not among them. Great idea, I did something similar with buttons that matched the color scheme of my daughters room. Love this though! Definitely on my todo list! Oh, I love this ! Will have to try making one for the baby’s room – I like a good project. Thanks for the idea ! That really is simple! So cute too. Nice work! If I had kids, I would definitely have done this! Beautiful! My kids are older, but this gives me ideas for the girls room, thanks ! (& congrats on FP). Yeah, I am thinking this would even make a cute shower gift for baby or wedding. Cute. And I am also just glad to hear about the coupons online. Never thought to check! Passed this on over at The Practical Housewife Facebook page – I hope it brings people your way! Thanks, that’s a great idea. I go to michaels almost everyday so I can use the coupon on everything. Lol! This is an adorable project. Thanks for the post! Thanks for letting me know! I’ll see if I can come up with something to submit to you. What a sweet idea! You could apply this method in so may ways – endless possibilities. What a great idea, thanks for sharing! I have a new niece on the way and am always looking for a unique and personal gift for these occasions. Congrats for Freshly Pressed! I think I’m gonna make this for my niece! I made one! A bit different, and with stuff that I had around the house… I’ll post the pictures so you can see!! I truly love all of your designs & decorating ideas! Thank you for posting on Cards by Alice. Love your idea with the cut out alphas! Thanks Kellie! What a great idea. I just might do that. Thanks so much. wonderful idea! this is a perfect gift idea too! thanks for liking my post…glad i found your blog. Let me know how it goes when you have a chance to do this with your daughter. Have fun!